How did the presentations and views in these two events help solving the global healthy ageing challenge? 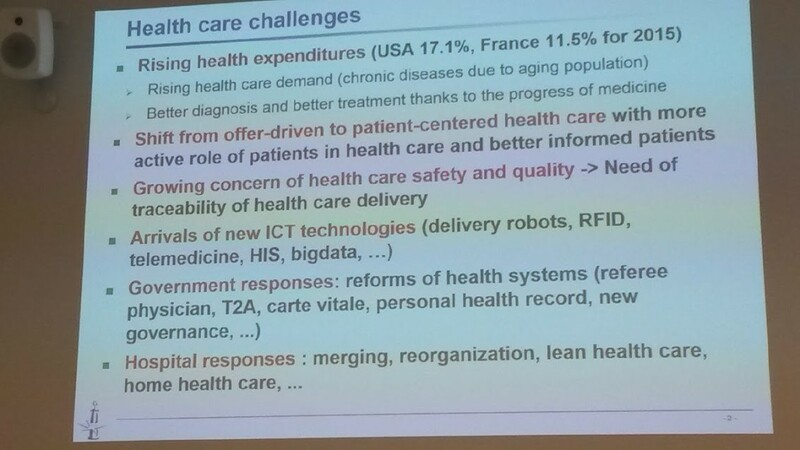 The technological capabilities were nicely presented and the speed of technological improvement is accelerating, yet the high level focus on advancing human centric proactive healthcare and wellbeing is lacking in clever technology innovations on narrow application areas. At the MetropoliaEday, José Valanta from the City of Vantaa, gave an opening talk identifying the change drivers for the future city – coping with the ageing population, increasing non-equality, migration, value divergence, and urbanization call for more that readiness to change. In my view, the core values and priorities in public services need to be recognized and shared as the guidelines for developing solutions. 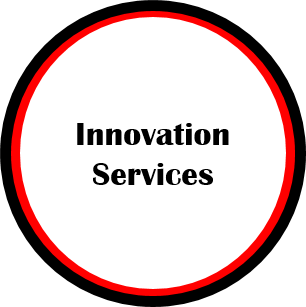 One key value is openness to innovation, and this appears to be in place in Vantaa. 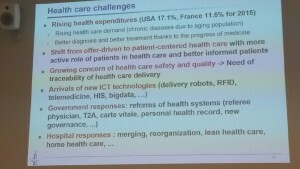 The presentation from Jyrki Latokartano who is the chair of the Robotics Society in Finland, outlined the current capabilities well. Industrial robotics is a thriving business in Finland, so there is a good basis for tackling the opportunities for service robotics. Visual Components Mikko Salminen demonstrated how service robotics can be simulated as part of industrial processes. The simulation technology would be interesting to apply in healthcare processes as well, when the less controlled human behaviour is also figured in. Henri Karvonen from Yaskawa Oy gave a technically oriented view of the CoBot requirements. I think approaching human robot interaction from the well-controlled industrial environment will be a slower path to service robotics that approaching it from the uncontrolled environment social robotics point of view. Aalto emeritus professor and GIM robotics founder Aarne Halme and gave an interesting historical development perspective on robotics in Europe and Finland as well as an introduction to service robot fundamentals outside of the industrial environment. The changed market focus to service robotics and the technological capabilities for operation in uncontrolled environments do provide a huge business opportunity for solutions improving the wellbeing of humans that live in the real world. Taneli Heikkinen presented Omron indoor robot solutions that assist rule abiding workers in transporting goods in a controlled environment, and finally Frederick Teye from GE healthcare gave an overview how robotics is applied in GE healthcare production. All in all the presentations provide a nice starting point for RAG 2018 Concept Camp on the human and robot theme. Artificial Intelligence – answer to complex problems? AI and Robotics in Health and Medical technology emphasized a lot more AI than robotics in health, so it complemented the previous day robotics oriented view of the world. In 2017 ERF AI was recognized as one key part of robotic systems along with IoT enabled sensing and distributed communication. Any significant health care service improvements need to be based on system understanding and how the technology solutions contribute to the care pathways and how they impact the customer (patient) health. Unfortunately partial optimization is frequent in health care and results in systematic disintegration of the operational processes. The first invited presentation by professor Xiaolan Xie from EMSE and SJTU provided systems engineering oriented approach to health care challenges. The top driver of change in our opinion is the shift from offer-driven to patient-centered health care + need to do more pro-active care instead of focusing on healing the very sick people. The shown research results demonstrated that this shift is yet to be realized. The research funding needs to support the shift so that performance evaluation, capacity planning and process engineering optimize the positive impact for customer health at reasonable cost for the customer. Following Xie, Hanna Vieriö-Oja from GE Healthcare gave a comprehensive overview of the GE Healthcare view on AI in care. The amount of available diagnostic personal health data is overwhelming already and it is bound to explode with the availability of clever and cheap personal monitoring devices. The smart sensor devices and AI-analytics assist medical professionals and customers in making the right decisions earlier to avoid costly health consequences. Kalle Karhu from Planmeca Oy demonstrated nicely how AINO and CALM AI-algorithms are applied in Xray image improvement removing noise and compensating movement making it easier to identify issues in dental health and plan proper treatment. Professor Lauri Parkkonen was the last invited presenter addressing the Brain Computer Interface (BCI) state of the art. BCI is very interesting for robotics in exoskeleton category and rehabilitative applications. The closed loop experiments of the BCI are a promising way to reshape the brain to recover from various traumas. One of the pitches given after the invited talks proposed treating depression in a magnetoencephalography (MEG) based closed loop stimulation setup – new subtle way of getting rid of depression in MEG parlors. Mesmerizing development is taking place in many fields of technology, health care, and wellbeing. New innovations are popping up with accelerated speed and the data processing power is rising up all the time giving opportunities to develop more sophisticated and smarter algorithms. Still something seems to be missing. What is our vision of healthy human being? We have our own genomes. We do what we do. We make our own choices. We are living and working in different environments. And finally, there are events affecting to our health and well-being to which we cannot influence. At the “human level” we need to consider more systemic solutions than just single answers to single problems. It also means that we have to design the logic of innovation from one sector innovations towards innovation without borders. Open collaboration across different industries opens arenas to co-create meaningful concepts to complex challenges of health and wellbeing. As a tool of open innovation, RAG Concept Camp can act also an urgently needed tool for open-mind innovation. It takes its power from the fuzzy front end of innovation where is plenty of room to reframe challenges, find break-through ideas, and create long-time partnerships. Next stop is Slush 2017 – how to do more good instead of less bad applying IoT-, AI-, and Robotic technologies in wellbeing and health.